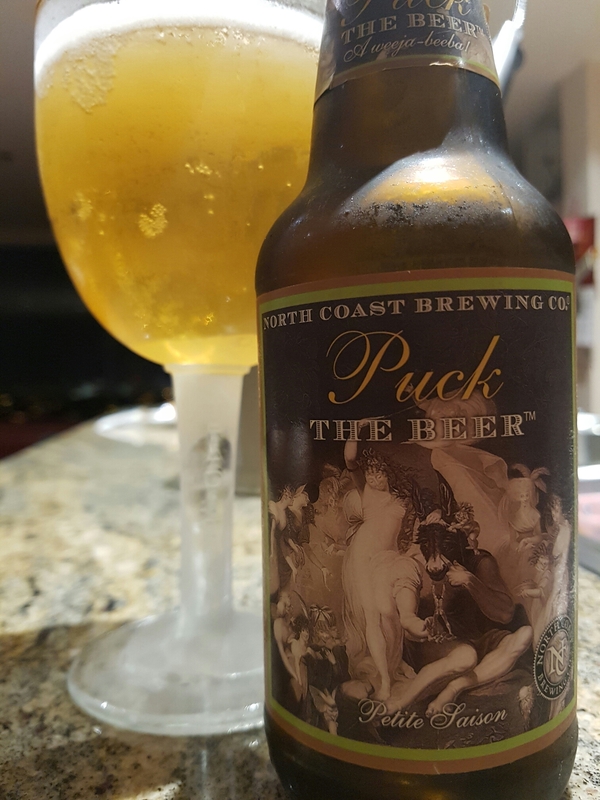 Puck The Beer Petite Saison – North Coast Brewing (Fort Bragg, CA, USA) | Justintoxicated. Visual: Pours golden orange-yellow with no real lasting head, a thin hazy layer of retention, singular small bubble streams all around. Summary: Very nice execution of a 4% beer – good crisp drinkability with orangy malt flavour with just enough depth of body. A bit thin at the start but picks up in the mids and finishes with a gentle hop bitterness. Good quality but not exceptional.